Hello! 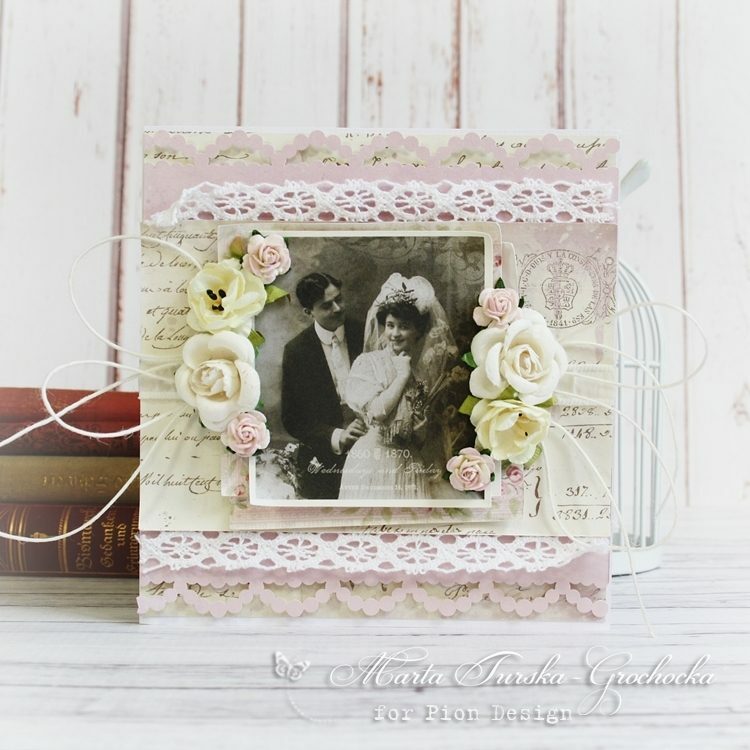 Today my vintage, romantic anniversary card with a drop of lavender shade. 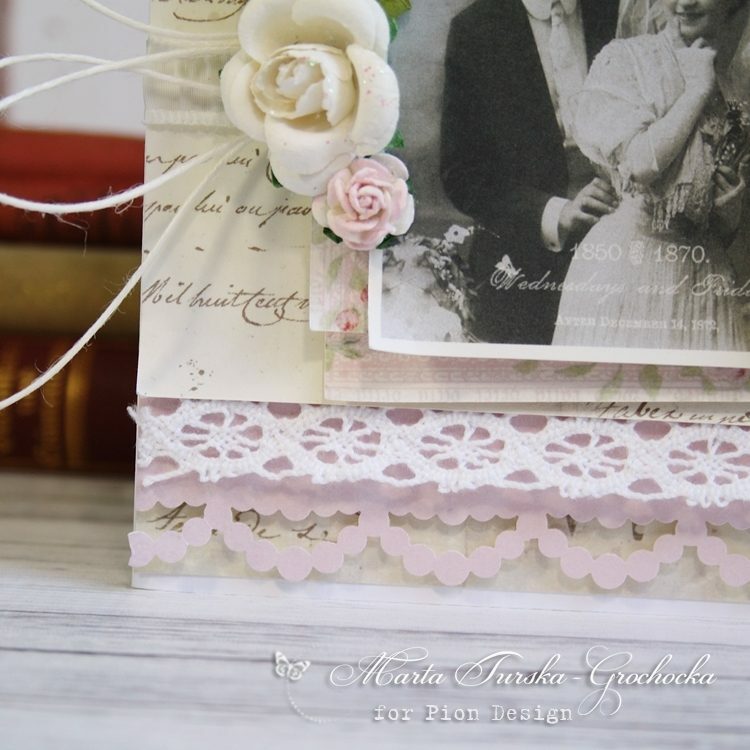 I love to mix some lace with the layers of paper and with some paper flowers – you get the touch of vintage immediately. 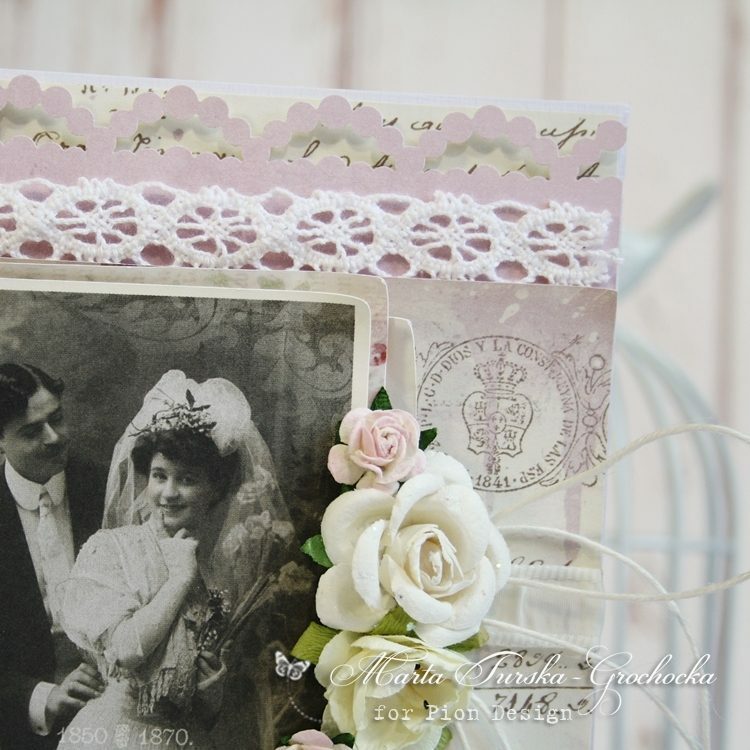 I used a beautiful wedding picture from the past, my composition is build around this picture.